At our Company, you can select from 502 designs and 20 lines, which vary by color in the catalogue: AKTUÁL (Current), KOMPAKT (Compact), RUSTIKÁL (Rustic), JUNIOR, PRAKTIK (Practical), BUNGALOV (Bungalow), ECOLINE, KLASIK (Classic), DOMINANT, PREMIÉR, KOMFORT (Comfort), LÍNIA, RELAX, RIVIÉRA, SENÁTOR, VILA. In each line, the single-family houses are normally listed from oldest to newest. When selecting a home, you should mainly be thinking about how suitable the documented solution is for your family, the appropriate size in light of your financial possibilities, your property’s dimensions and the technical challenges if you decide to build the house yourself and not have it contracted. Anticipated budgetary costs for turnkey construction as well as material are shown in the catalogue in euros. This price does not take location and unfavorable construction conditions into account and is taken from the design budget, which is prepared by KROS Žilina software using the ÚRS basic orientation price – the price level as of October 2014. When pricing a house, you should be chiefly aware that the price of a single-family house is determined first of all by the home builder alone, namely by choosing the house’s size, the method of constructing the building and the standard of the material used in construction. In the case of turnkey construction, you can influence the price with high-quality competitive bidding by building contractors. Every reliable construction firm will make, based on our design, a free quote for construction which must include not only a quote of the price but also deadlines, guarantees and, accordingly, payment terms and conditions. You can best review the reliability of a construction firm using references from several prior customers. 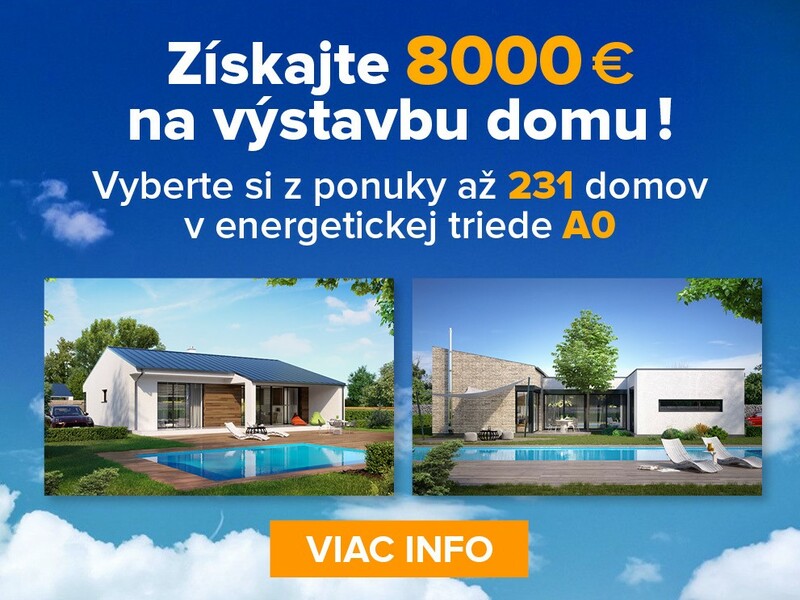 If you intend, when financing your single-family house, to also get a loan from the Štátný fond rozvoja bývania((State Housing Development Fund – ŠFRB), don’t forget when you select the house design that any loan provided by ŠFRB is limited to the construction of single-family houses measuring up to 160 m2 of floor space. More information about the conditions for getting a ŠFRB loan can be found on http://www.sfrb.sk . You can find further information on the internet about financing your single-family home through building society savings or a mortgage on http://www.finance.sk. Each house has floor space noted on the catalogue page under technical specifications. If you have selected any of our designs, we recommend you visit the building commission in your municipality, where on the basis of a slide from the cadastral map and the catalogued note on your selected home or output from the Community Land Use Application, you can ask an authorized staff member about issuing a statement about construction and positioning a house on your building parcel.